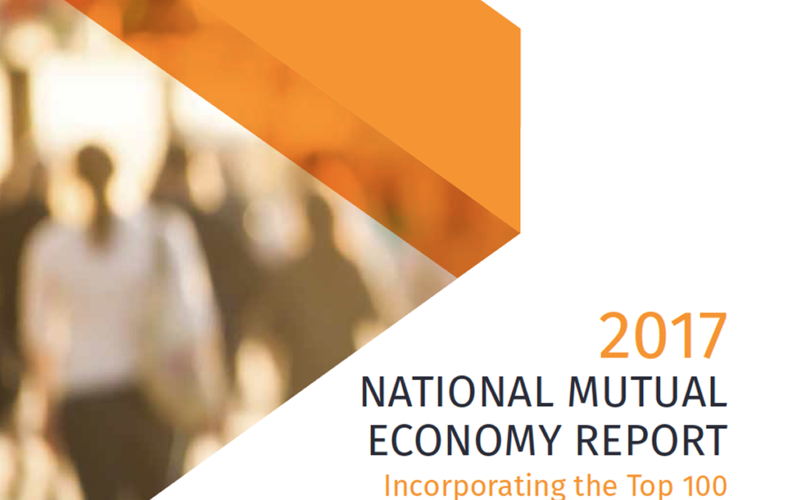 The National Mutual Economy Report 2017 (NME 2017) reveals the enormous contribution co-op and mutual enterprises (CMEs) make to the national economy and the quality of life Australians enjoy. According to the report, the total value of the goods produced and services provided by CMEs in FY 2015/2016 was the equal to 8.3 per cent of Australia’s Gross Domestic Product (GDP). To put this in perspective, the contribution made by CMEs to the economy was larger than the construction, mining, manufacturing or agriculture sectors. NME 2017 captures the performance of Australian CMEs, mapping their size, composition and the overall health of the CME sector. The report research partner was the University of Western Australia, and it was sponsored by HCF and published by the Business Council of Co-operatives and Mutuals (BCCM). In FY 2015/2016, there were at least 2,135 active CMEs generating a total value add of $140 billion and holding assets worth $713.6 billion on behalf of their 29 million members. Business Council of Co-operatives and Mutuals (BCCM) CEO Melina Morrison said CMEs are a tried and tested model for communities that feel the current economic system is not meeting their needs. Amid new revelations of tax evasion by companies, the strength of the CME sector is vital to securing Australian living standards. “Strengthening the sector may prove to be the best way for the major parties to protect Australian interests,” Ms Morrison said. The combined annual turnover for the top 100 Australian CMEs (excluding the member owned superannuation funds) for FY2015/16 was approximately $29.9 billion. The turnover of the Top 100 CMEs has grown by an average of 6.6 per cent annually for each of the last five years. 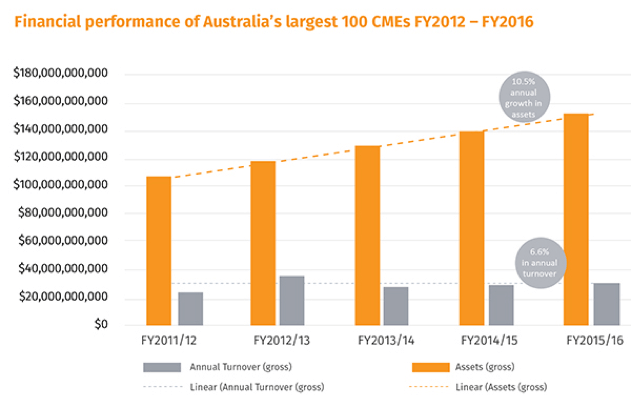 The Top 100 CMEs held combined assets of more than $152.9 billion at the end of FY 2015/16. The value of assets grew by 10.5 per cent during each of the last five years. Locally owned and regionally focused agricultural CMEs contribute $8.6bn to the Australian economy every year, providing more than 13,000 farmers and fishers with the support they need to operate locally and sell internationally. The co-operative support for regional economies goes beyond agriculture, with member-owned banking institutions, energy co-operatives, and many more bringing sustainable development to regional Australia.